Take in the views from a rooftop terrace and make use of amenities such as complimentary wireless Internet access and wedding services. Additional features at this hotel include a television in a common area, tour/ticket assistance, and discounted use of a nearby fitness facility. Enjoy a meal at the restaurant or snacks in the coffee shop/café. The hotel also offers 24-hour room service. A complimentary breakfast is included. 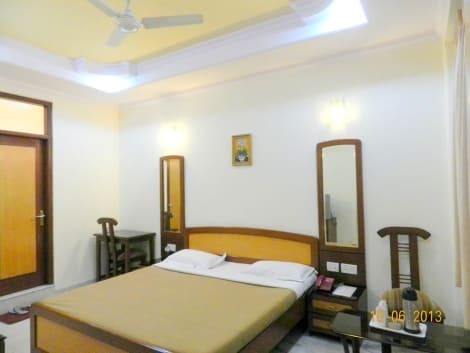 OYO 4258 Hari's Court Inns & Hotels is located in New Delhi, in the South Delhi district. Boasting a 24-hour front desk, this property also provides guests with a restaurant. The accommodation features a business centre, and buying tickets for guests. A buffet breakfast is available every morning at the hotel. OYO 4258 Hari's Court Inns & Hotels offers a terrace. Lotus Temple is 4.1 km from the accommodation, while Humayun's Tomb is 5 km away. 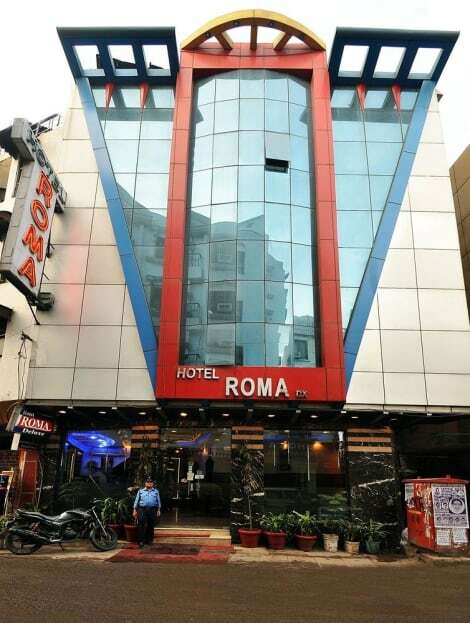 The nearest airport is Delhi International Airport, 18 km from OYO 4258 Hari's Court Inns & Hotels. Featured amenities include wired Internet access (surcharge), a 24-hour business center, and express check-in. Planning an event in New Delhi? This hotel has 10656 square feet (990 square meters) of space consisting of conference space and a meeting room. A roundtrip airport shuttle is provided for a surcharge (available on request), and free valet parking is available onsite. 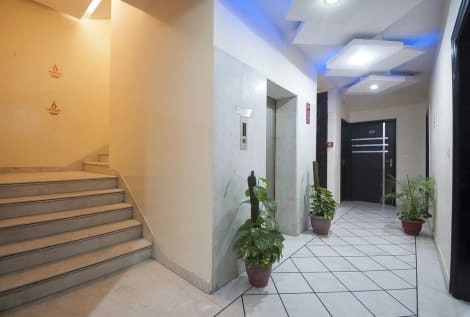 Based in the sprawling metropolis of Delhi, New Dheli is a British-built district encompassing tree-lined avenues, government buildings and a number of excellent museums. 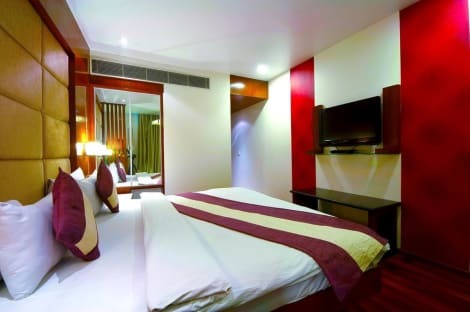 New Delhi hotels are the best choice for exploring this rich and varied location. George V, Emperor of India in 1911, laid the foundation stone of New Delhi and the British architects, Sir Edwin Lutyens and Sir Herbert Baker, designed the city. Today it is the main seat of power for the executive, legislative, and judiciary branches of the Government of India. One of the most iconic landmarks in New Delhi is the India Gate, similar in style to the Arc de Triomphe in Paris and the Gateway of India in Mumbai. The gate was constructed as a memorial to the 82,000 soldiers of the undivided British Indian Army who gave their lives during the First World War and lies at the end of the Rajpath. The National Museum in New Delhi is one of the country's largest museums and holds a staggering collection of artefacts ranging from prehistoric periods to the present day. You could easily spend a whole week exploring the various sections of the museum and this is definitely the best place to delve into Delhi's rich and fascinating history. For a slightly more sobering look at India's struggle for independence, Gandhi Smriti is a museum dedicated to Mahatma Gandhi, who was assassinated on the site in 1948. A Martyr's Column marks the location where Gandhi was shot during his nightly walk. One of Delhi's most iconic sights, the Qutb Minar is a towering minar made of red sandstone and marble. Building work started in 1193 and was completed in 1368. There are 379 steps running from the base to the top. Surrounding the minar is the Qutb complex, the ancient capital of the Tughlaq dynasty. The multi-cultural nature of New Delhi means that there is a range of different religious buildings of encounter. The Laxminarayan Temple is a striking a Hindu temple dedicated to Laxminarayan. Gurudwara Bangla Sahib is a Sikh house of worship, recognisable for its prominent golden dome. The Sacred Heart Cathedral is a Roman Catholic cathedral dating from the 1930s. Perhaps two of the most breathtaking religious sites in New Delhi are the Lotus Temple, a Bahá'í House of Worship in the shape of a gigantic lotus flower, and Akshardham, a Hindu temple complex that attracts an enormous amount of visitors each year. This vast and intricately designed complex encompasses a 141-foot high monument, the Garden of India, and a boat ride that showcases 10,000 years of Indian heritage.